Greg George, CEO/Owner/Founder of Emerging Franchises. For 17+ years Greg has navigated the waters of franchising to the point he can tell you if you would even be a good fit to be a franchise owner. Check out Emerging Franchises Facebook Page here. 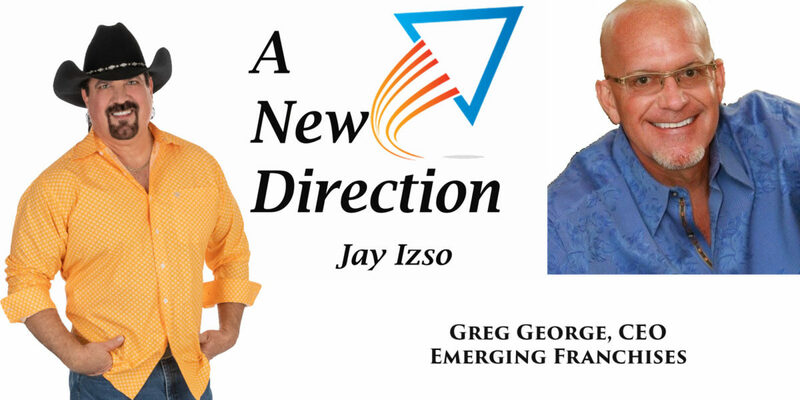 In Episode 36 of A New Direction Greg gives you the inside track to understanding what you will need if you truly want to be successful in the franchising business. he also provides us with a few insights into his lifestyle and his alter ego “Mr. Positive”. Today’s t-shirt was brought you by the kind people at Island Athletic Club in Carolina Beach North Carolina Thank you Jen!!! Great post!! You shared very effective ways that help to grow businesses in this post. Franchise consultant is the best way to choose.